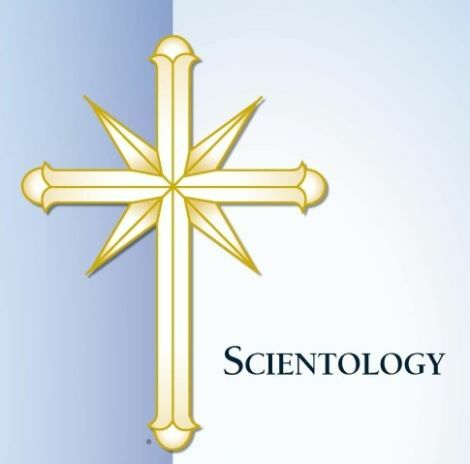 Did Scientology Enlist Congressional Stooges to Attack France? 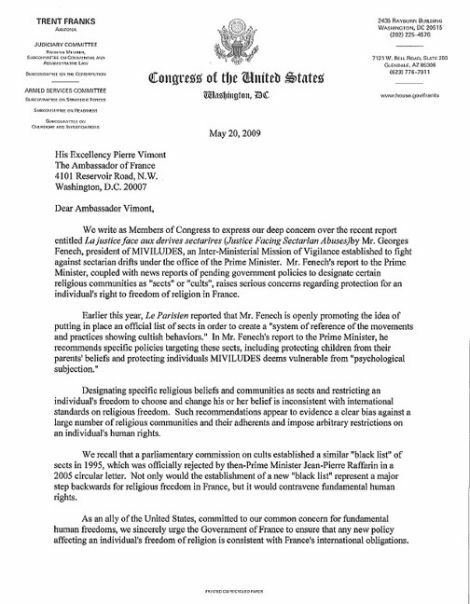 Six members of Congress wrote a letter of protest to the French ambassador last month, taking the country to task for a new report from a French government agency that attacks some self-professed religions as "cults." Was Scientology behind it? 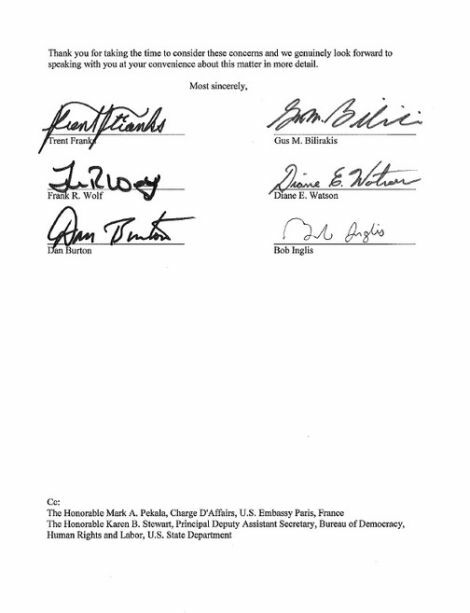 The letter, signed by Reps. Trent Franks (R-Ariz.), Frank Wolf (R-Va.), Gus Bilirakis (R-Fla.), Dianne Watson (D-Calif.), Bob Inglis (R-S.C.) and Dan Burton (R-Ind. ), said that the report—which was written by MIVILUDES, a French government agency that tracks cults and sectarian religions—"raises serious concerns regarding protection for an individual's right to freedom of religion in France." The members of Congress didn't mention Scientology by name, but the MIVILUDES paper is reportedly highly critical of Scientology's efforts to influence the United Nations through "front organizations." Posters to the anti-Scientology message board Why We Protest suspect that the letter is part of a long-running Scientology campaign against MIVILUDES. These criticisms may be due to movements themselves—in most cases, Scientology, Jehovah's Witnesses, Moon, and the Raéliens—because they have the means to exert intensive lobbying, both nationally and internationally, they do not hesitate to practice, with some attendance, others more casual. When they do not reviews under their own name, the message is relayed by some NGOs, the infiltered or "false nose" of their movements... Fighting for religious freedom and minority rights, the arguments relay movements in denouncing regularly, and more or less virulence as appropriate, the attitude of some States, like France, are invested in the field of vigilance and the fight against runaway sections and on the protection of victims. While there could be many reasons to attack the report—it's also critical of more normal-seeming religious groups, like the Jehovah's Witnesses and Mormons, and MIVILUDES critiques what it calls "sectarian aberrations," which just sounds creepy—there are some connections between Scientology and some of the congressmen who signed it. Bilirakis, for instance, represents Clearwater, Fla., the "spiritual headquarters" of the church, and an American flag donated by him flies over the Church of Scientology Life Improvement Center in Plant City, Florida. 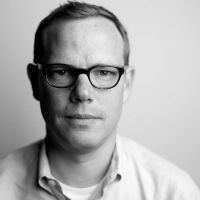 And Burton, the guy who shot a pumpkin in his efforts to get to the bottom of Vince Foster's suicide, employed Beth Clay as a staffer on the Government Reform committee for seven years; Clay is a board member of the Citizen's Commission on Human Rights, an anti-psychiatry Scientology front group. The letter also comes when Scientology is going on trial in France for fraud, so you know they're looking for a win. And we've already seen that the group has some fairly sophisticated plans for enlisting congressional support to accomplish its goals.